Whether you are a developer, an organisation or a software as a service vendor (SaaS), Jelastic Cloud allows you to create bespoke development environments in just a few clicks with fully scalable resources. Estimate the resources you need through your trial period. Set the environment of your choice in seconds. Transfer and immediately operate your applications in the Cloud. Deploy in one click more than 60 optimised and preconfigured applications: WordPress, Joomla, Drupal, Magento, ownCloud, PrestaShop, etc. Jelastic Cloud also allows you to search and deploy any Docker image in seconds. If needed, you can easily install cluster applications or even clone them to create test environments. Everything is possible. Pay only for the resources you really need with the guarantee that your sites and applications are available and efficient. Whether you want to install an application, add load balancers, servers, or even memory or additional processors, everything is done in a few clicks. Easy, fast, extensible and totally transparent. That's why you won't want to go back! Modify the resources dedicated to your Web applications at any time with no interruption. You can even automatically resize any application under the conditions of your choice, both vertically and horizontally. Do you really use all your resources 365 days a year? Thanks to Jelastic Cloud, you only pay for the resources you really need with the guarantee that your sites and web applications are always available and efficient. Forget the administration of your system and focus on the essentials. Whatever the infrastructure (redundancy, IP, SSL, load balancing, etc.) and technologies (PHP, Node.js, Java, Docker, Ruby, etc.) that you need, Jelastic Cloud allows you to create, modify and clone the environment of your choice in seconds. Connect securely to your containers in SSH or use our intuitive interface to easily manage your cloud environments. The API allows you to automate tasks of your choice such as creating environments, deploying applications or any other action you can perform through the graphical interface. Everything is possible: dedicated IP, load balancing, SSL, redundancy, etc. Create, edit, sync and replicate the application or server of your choice in a few clicks without any interruption. It has never been so easy and fast to create test and development environments with the guarantee of ensuring the high availability of its applications, whatever the power required. Easily monitor the loading of your applications, traffic and consumption in terms of RAM and CPU. In the event of overrun, you can be notified and automatically resize your resources in order to save money or ensure the performance and availability of your online services. Estimate the resources you need during the trial period and then use our simulator to determine the hourly or monthly rate of your Paas. You will be able to adjust your configuration at any time without any interruption or additional charge if needed. What is invoicing based on? The Cloudlet is the unit of measure that determines the amount invoiced. A Cloudlet is 128 MB of RAM and 400 MHz of CPU. Reserved resources are always invoiced, but those for resizing are only invoiced when used. The more resources you have, the more significant reductions you will get. You can obtain up to 65% reduction. What is a platform as a service (PaaS)? A platform as a service (PaaS) is a complete development and deployment environment in the Cloud. This solution provides the necessary resources to provide any service, from the simple Cloud application to sophisticated business applications. You access the platform via a secure portal and pay for the resources as used. A container or a node is an isolated virtual instance to which resources (CPU, RAM, disk space) are allocated to manage software (Web applications, databases, load balancers, etc.). How does Jelastic Cloud billing work? The Cloudlet is the measurement unit that determines the invoice amount. A Cloudlet corresponds to 128 MB of RAM and 400 MHz of CPU. When creating a container, you have the choice to allocate Cloudlets to constantly consumed resources and dynamic Cloudlets for peak consumption, which will only be invoiced when used. Reserved Cloudlets may seem more advantageous than dynamic Cloudlets, but they are invoiced regardless of their use. If you are unable to estimate the reserved resources you need, we recommend that you start with a limited number of Cloudlets and adjust your configuration thereafter according to your needs. The 14-day trial period also allows you to evaluate your needs without any commitment. Is it possible to create VPS with Jelastic Cloud? Yes, Jelastic Cloud allows you to create custom private virtual servers with CentOS, Ubuntu or even Windows thanks to preconfigured and certified packages. What technologies are supported by Jelastic Cloud? Jelastic Cloud is one of the most complete and flexible PaaS solutions on the market. Supported languages: you will be able to deploy Java, PHP, Ruby, Node.js, Python and Go applications without having to adapt your code using Docker, GIT, SVN or integrated extensions like Maven, Ant, Eclipse, NetBeans or IntelliJ IDEA. Supported SQL and NoSQL databases: MariaDB, MongoDB, MySQL, Postgre, Redis, Neo4j, Cassandra, OrientDB, PerconaDB, CouchDB, Couchbase, MSSQL. Supported application servers: Tomcat, TomEE, Jetty, GlassFish, Payara, Apache PHP, Apache Ruby, Apache Python, NGINX PHP, NGINX Ruby, NodeJS, JBoss, SmartFoxServer, SpringBoot, Railo, WildFly, Raptor, Golang. Supported load balancers: NGINX, Apache Balancer, HAProxy, Varnish. How do I deploy an application? Applications can be deployed using a local file (zip, war, ear) or via GIT, SVN with automatic updates. 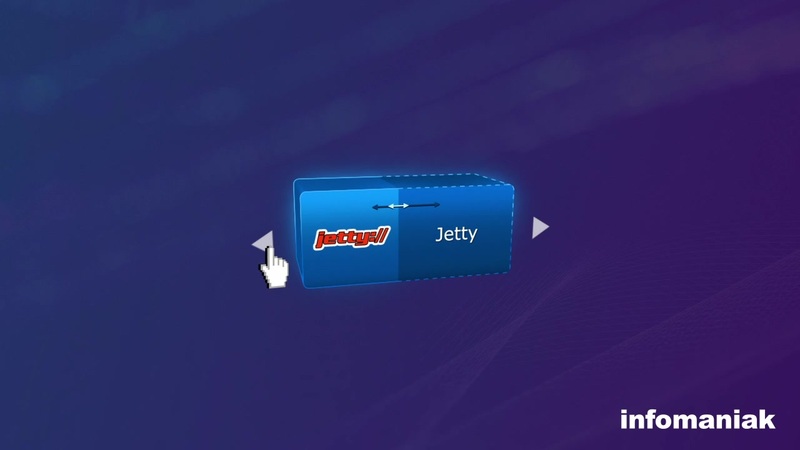 Jelastic also allows you to use other deployment tools via the following extensions: Maven, Jenkins, Ant, Eclipse, NetBeans, IntelliJ IDEA. What resources are available during the trial period? The resources available during your 14-day trial period are detailed in this guide. What is the difference between Jelastic Cloud and an unmanaged server? Jelastic Cloud is a platform as a service (PaaS) that makes it easy to create development environments on the fly. 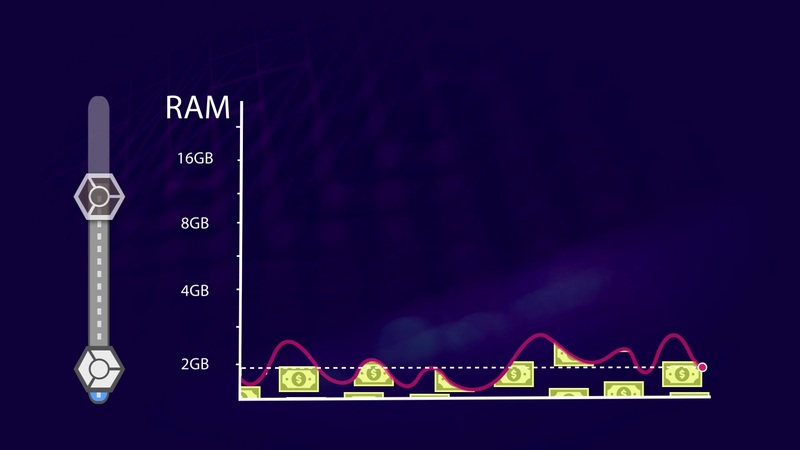 This solution is very advantageous if your consumption of resources (CPU, RAM) varies greatly depending on the period of the year. A managed Cloud Server lets you manage applications and websites as easily as shared hosting while offering you the advantage of being able to install additional software according to your needs. This solution is very advantageous if your resource consumption (CPU, RAM) is stable and predictable. An unmanaged Cloud server allows you to manage the totality of your server with the Linux distribution of your choice. Strong technical skills are required. This solution is very advantageous if your resource consumption (CPU, RAM) is stable and predictable. In all three cases, you benefit from completely dedicated resources that you can freely adjust to your needs. The managed Cloud Server allows you to manage applications and sites as easily as shared hosting, giving you the benefit of having dedicated resources and the ability to install additional software to meet your needs. The unmanaged Cloud server allows you to manage the totality of your server with the Linux distribution of your choice. You benefit from dedicated resources and strong technical skills are required to install and operate your server.